Adirondack Experience - Bow Bridge Communications, LLC. Founded in 1957, Adirondack Experience, The Museum on Blue Mountain Lake (ADKX), is an indoor/outdoor museum presenting vibrant encounters with the history and culture of the Adirondack region. Sited on a 121-acre campus in Adirondack Park, ADKX offers a broad range of programs and activities including special and permanent exhibitions, interactions with artisans-in-residence, workshops, lectures, nature tours, boating instruction, family programs, and signature events like the Rustic Furniture Fair. 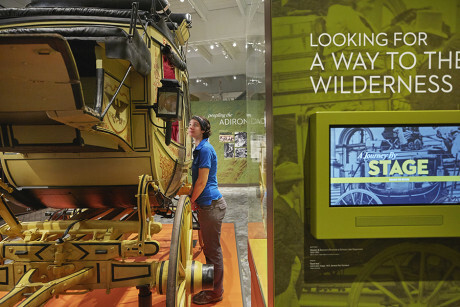 Bow Bridge was engaged by ADKX to promote Life in the Adirondacks, a permanent exhibition gallery that opened in 2017, within the context of ADKX’s 60th anniversary.